Video sharing has slowly become apart of my everyday social media routine. Now, not only am I tweeting, updating my Facebook status, and sharing pictures throughout the day on Snapchat but I can also see and share my life in motion, with the app Vine. I love Vine because it allows me to create short videos of my everyday life in a simple and fun way for my friends and family to see! 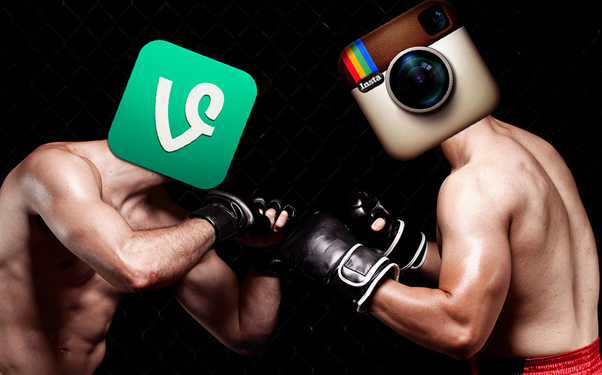 With the huge success of Vine, competitors are scrambling to get in on the video sharing action! And among them is one of my personal favorite apps, reigning social media champion, Instagram. The app’s addition of video to it’s popular photo-sharing service is something the team has “been planning for two years now”, reported Mike Isaac of All Things D. Yet details to how video sharing will work on Instagram is slim. Although I’m a big fan of Vine, I think that Instagram might be able to beat them at their own game. For example, in October of 2012, Instagram forever changed mobile photo sharing by bringing filters that alter color, texture, and focus to smart phone users. Whether you love filters, like I do, or despise them, there’s no question that they’ve helped Instagram’s appeal by simply making mediocre photos look beautiful. Amateur video is often clumsy and dull, but Instagram could immediately stand out from Vine by tastefully spicing things up with filters! Another positive factor is that they have a larger built-in user base, soaring to 100 million active users, while Vine barely compares with only 13 million. Adding an option to where you can pull previously recorded videos from your library to the app. Currently, Vine recordings can only be viewed within the app, or embedded as a link in a Tweet but Instagram could easily fix that by incorporating the videos into their current user web pages at Instagram.com. While very unlikely, an export to where you could export your video (or portion of a video) as an animated GIF would be the ULTIMATE in share-ability, and would without a doubt excite the current GIF-obessed internet audience. So what will you do when the new Instagram video feature drops? To delete Vine or to not delete Vine? That is the question!